Nourishing Relationships:Please tell us about spiritual partnerships. Gary Zukav: I am very happy to be a part of your blog and your extended family, and I am very happy to share all that I know about spiritual partnerships and creating authentic power. Spiritual partnerships are the most fulfilling, substantive, and deep relationships possible. They are relationships between equals for the purpose of spiritual growth. Growing spiritually means creating a life of more joy and less pain, more meaning and less emptiness, and more love and less fear. As we become aware of ourselves as more than we once thought that we were – and this is happening to millions of people – we long for relationships that are the most meaningful and rewarding possible, that support us in becoming healthy, vibrant, creative, and loving. These are spiritual partnerships. N R: I understand your book is about not just couples being in spiritual partnership but that all our relationships can become spiritual partnerships. Will you talk about this more? G Z: You can create spiritual partnerships within your family, with your friends, your coworkers, your neighbors, and with another individual as a couple. No matter who the spiritual partner or spiritual partners are, the spiritual partnership operates the same way. It is a vehicle that supports the partners in it to become more aware of their emotions, to become more aware of their intentions, and in making the most healthy choices that they can, choices that will create consequences for which they are willing to assume responsibility. My spiritual partner Linda Francis and I have been together for seventeen years. We are married, yet we see our relationship as a spiritual partnership, and we see ourselves as spiritual partners. I am committed to my spiritual growth, and Linda is committed to hers. I am responsible for my spiritual growth, and Linda is responsible for hers. Yet I support her in growing spiritually and she supports me. We began creating spiritual partnerships with our granddaughters when they were 6 and 8. N R: I have good friendships and I feel that they are spiritual partnerships. How can I tell? G Z: Friends want to make you feel better when you feel bad. Spiritual partners help you look inside when you feel bad and find the internal source of your pain, such as grief, guilt, depression, etc; and then experience it as fully as you can so that you can challenge and heal it. Friends think that the causes of their pain and happiness are outside of themselves, for example, that they are overwhelmed because they have to much too do, or that they are devastated because a partner left or a child is sick. Your work load, the departed partner, the sick child are triggers of your painful experiences, but they are not the causes of them. The causes of them existed before you had too much to do, your partner left, or your child became ill. The pain is real, but it’s cause is not outside of you. It is inside of you. Friends will try to help you ease your pain or distract you from it, but your spiritual partners will help you find and heal the source of it forever, if you are willing to do that. N R: What is the relationship between my concerns about getting older and changing my relationships into spiritual partnerships? G Z: It is natural to become more interested in deep and substantive relationships as you begin to appreciate the complexity and richness of Life, and sense the beauty, compassion, and wisdom in it, even in circumstances that sometimes appear to be tragic. However, the thirst for spiritual growth is everywhere, in every age group, in every culture, and in both sexes. A new consciousness is emerging throughout the human family that will not make any of us more kind or wise, but will eventually make all of us more aware – aware of experiences and dynamics, and compassion and wisdom that the five senses cannot detect – and aware of new potentials. Those are the potentials of authentic power and spiritual partnership. N R: I love the idea of spiritual partnership, but it is a frightening concept that spiritual partners only stay together as long as they are growing together. Can you explain this further? NR: Thanks so much for joining us today, Gary – and for your wisdom and honesty. Your tribute to our most important relationships is like a breath of fresh air. We’re also grateful to all the readers who have dropped by. Click on the title at the top of this post - that will take you to Gary's website where you can learn more about him and Spiritual Partnership. If you have questions for Gary concerning his stimulating new ideas about our relationships, please click on "Comments" and let us hear from you. Log on again tomorrow - we’ll be summarizing your questions and Gary’s feedback. Be clear about what you're willing to do. Perhaps your mother is older and still has unreasonable expectations of you but doesn't value what you do for her. What you get in return may be criticism, arguments or tantrums. Try your best to stick to your rules by writing a list of what you will tolerate. And don’t assume that you have to do it all alone. Talk openly and honestly about how you feel and encourage other family members to pitch in and do their share. Maintain firm boundaries as you handle these challenges. Refuse to respond to unrealistic demands - or even realistic ones that you can't meet because of how you feel or other commitments. You can create a more balanced sense of wellbeing by setting limits, especially if your mother is verbally abusive. You don't have to continue to identify with the role of the victim. Although you may not be able to change what happens to you, you can change how you handle it. Consider the possibility of seeing a therapist or coach. Learning how to self soothe and manage your moods will help you feel more in control of your life. As you continue to work on getting what you need and want, think about the possibility of offering forgiveness. Granted, your mom may have been incredibly damaging, making it difficult to accept yourself or trust others. But know that forgiving your mother for who she is and what she did to you doesn't necessarily excuse her actions. And starting to extinguish the feelings of rejection and resentment can mark a new beginning for you – a Mother's day gift that you give yourself, freeing you from the past. For more support in starting this process, look to the left of this post and join the email list - you can download our complimentary ebook, Courage and Lessons Learned and free newsletter, Stepping Stones. And don't forget to log on here tomorrow for our monthly Virtual Book Tour with Gary Zukav, author of the #1 New York Times best seller, The Seat of the Soul. Gary will be doing a Q&A about Spiritual Partnership: The Journey to Authentic Power. You'll be able to ask Gary questions by clicking on "Comments" at the bottom of the post. This Mother's Day, why not take care of you? And instead of trying to please a mom for whom it's never enough, pull yourself up to where you belong. Get some help by signing the email list to the left of this post - then download our complimentary ebook and get started! Feel empowered as you practice greater self love. Make a list of all that you have achieved without the support of parental encouragement and assistance. Realize that these assets belong to you alone. If you've spent a lifetime trying to make your mom show love or consumed with rage about not getting it, perhaps it's hard to see yourself as the valuable person you really are. In time you will come to know that you are not defined by your mom, but by what you envision yourself to be. Focus on the positives of the life you've created. When you were young, your mom's actions or attitude may have made you feel worthless or invisible. Did you fantasize about getting out from under her control and moving far away? Now that you are married with a family of your own and a successful life, you're no longer that helpless little girl. Admire and respect your grown up qualities, like a sense of responsibility, the ability to laugh at yourself, feelings of independence, common sense and good judgment. Want more support? Log on here Thursday and Friday for our monthly Virtual Book Tour. We'll be featuring Gary Zukav, author of the #1 New York Times best seller, The Seat of the Soul. Gary will be doing a Q&A about his recently published book, Spiritual Partnership: The Journey to Authentic Power. And you'll be able to ask Gary questions by clicking on "Comments" at the bottom of the post. Are you dreading Mother's Day again this year and worrying about what to do for your mom? You may never have been close, or are now estranged and feeling angry. Have you cut the mother-daughter ties and ignore the day, yet remain resentful and sad? Or do you just pretend everything is OK and give her a gift anyway? Even though the media lead us to believe that all mothers deserve flowers and chocolates, if you don't have a good relationship, this 'special' day can be agonizing. The truth is not all mothers are lovable - some are hurtful, critical, overly controlling and even destructive. Maybe your mother suffers from alcohol or drug dependency or is narcissistic , has been physically abusive or emotionally neglectful. You may be fed up with trying to win her approval and be accepted for who you are. Or sick and tired of feeling guilty and blaming yourself for the problems in the relationship. This week we'll be sharing some ideas that can help you take better care of yourself, on Mother's Day and throughout the year. Let go of the dream of having a loving mother and a relationship that is emotionally healthy. It's not easy to face the fact that your mom is self absorbed and has serious problems - or to fully acknowledge your pain in not having a 'good enough' mother. Once and for all, stand up and step back. Now is the time to shift the focus away from her. And begin to protect, nurture and mother yourself. Whether or not you're a sandwiched boomer, you may be challenged by your relationship with a difficult mother. Join us again tomorrow for more practical tips to help you break free from the pain of your past. Need help in mustering the courage? Look to the left of this post and join the email list - you can download a complimentary ebook, Courage and Lessons Learned and free newsletter, Stepping Stones. Earth Day Plus One - Now What? Earth Day was yesterday. So what do we call today? Want more tips for making lasting changes? Sign up for our free newsletter, Stepping Stones, and receive a complimentary copy of our ebook, Courage and Lessons Learned. Look to the left of this post to subscribe - and begin a new day. When Earth Day was first instituted 40 years ago as a means of teaching about and appreciating the Earth's environment, few people had heard of the Eyjafjallajokull glacier in Iceland - and even fewer of the volcano beneath it which has been erupting this month. But all of Europe has certainly become aware of it now. In the wake of these volcanic eruptions, seismic activities and dramatic weather this spring, we all are struck by the realization that changes in the Earth can come in many ways. They can be gradual or sudden and violent. They can come from the forces of nature or from the actions of human beings. They can be unexpected and out of our control or planned and anticipated. In either case, the havoc they reap can affect millions. The ash darkening the skies over northern Europe has impacted the economy and may continue to do so for weeks to come. So how then do we come to terms with the tremendous power of Mother Nature? Given the current discussions about whether or not the globe is actually warming - and, if so, whether it's due to man or the earth itself - you may be left feeling confused and overwhelmed. You can take a lead from the Serenity Prayer used in most 12 step programs: God grant me the serenity to accept the things I cannot change, the courage to change the things I can, and the wisdom to know the difference. On Earth Day, you can acknowledge the power of nature and still recognize your role in the process. For some help in moving toward positive solutions, you and other Sandwiched Boomers can draw on the tips in our Her Mentor Center ebook, Courage and Lessons Learned. When you sign up for our free newsletter, Stepping Stones, you'll receive a complimentary copy of our ebook. Look to the left of this post to subscribe - and you're on your way! Since we write a blog with a name like Nourishing Relationships, you know that we recognize the importance of nurturing - encouraging growth and development. Generally we focus on improving and strengthening family relationships with partners, growing children and aging parents so that everyone can thrive. For many women, a significant part of caregiving involves nourishing their family and friends in a literal way - by preparing food for the body as well as for thought. Breaking bread with family and friends has gone on since the beginning of societies and communities. Eating together reinforces ties as diners linger over the meal, sharing stories and just enjoying one another. Food is more than just sustenance - it sends a powerful message of love and caring. As foodies ourselves, we are both always on the lookout for new recipes and exciting presentations. So, over the weekend at a niece's baby shower, I was delighted to meet two engaging young women who blog together about food, sharing recipes with their readers. Danielle and Erin blog at www.crispytarts.blogspot.com and present some mouth-watering recipes - with beautiful pictures to accompany them. You can stop by their blog and try out some yourself - I'm planning to go for the lemon bars. What about your own relationship with food? Are you challenged by the perpetual cycle many women encounter - of dieting and then "falling off the wagon?" Remember that you need to take care of yourself before you can successfully take care of others. If you've made lifestyle changes that honor both a healthy body and at the same time the enjoyment of good food, why not share your solutions here? Nourish us with your wisdom! Looking for just the right nudge to begin making changes in your own life? You'll find practical tips laced in with inspiring stories of strength in our new ebook, Courage and Lessons Learned. Simply sign up for our free newsletter, Stepping Stones, and you will receive a complimentary copy of the ebook. You'll find the subscription link just to the left of this post or at our website, www.HerMentorCenter.com. And a healthful bon appetit! Do you know Amy Dickinson, the national syndicated advice columnist and best selling author of The Mighty Queens of Freeville: A Mother, a Daughter and the Town that Raised Them? She likely writes a column in your local paper. This is what WashingtonPost.com has to say about Amy: "She comes across very much as you'd expect an advice columnist to: smart, humorous, commonsensical, not prone to deep self-analysis and - despite having lived in London and Chicago and worked in New York as a television producer - a passionate proponent of small-town American values." I’m a syndicated advice columnist, 'Ask Amy', and by far the most common question I’m asked when people meet me is "How do you know what to say to people?" People are understandably curious about my qualifications to tell others what they should do. Fortunately for me, I haven’t had to take my winding journey alone. Along with my daughter Emily, I am blessed to be from a large family of funny, inspiring, and opinionated women. These are the women Emily christened the "Mighty Queens," and these are the people who helped teach me what I know. Rather than write an "advicey" book, I decided to tell my own story. In the course of writing the book, I returned to live in my little home town of Freeville, New York. After living in London, New York, Washington DC and then Chicago, coming home to a village of 458 people has been an adjustment and a joy. This week Amy is celebrating the release of the paperback edition of The Mighty Queens Of FReeville. Over the past few months she has been traveling around, capturing real life stories that highlight Second Chances, a major theme of her book. From book club parties to libraries, book stores, auditoriums and church basements, women are gathering to draw strength from each other and share their stories. On Amy's new website, MySecondChanceStories.com, you can join the virtual hometown community, watch inspiring interviews by Amy, browse book club discussion questions, view photos and "bring Amy to your hometown" with live chat, podcasts and book signings. Go check it out - you'll be glad you did. ReadingGroupGuides.com will be hosting a contest where book club members can tell their 'second chance' story in 100 words or less, and Amy will select readers to win a paperback copy of her book for their group. If you need some encouragement in order to write your story, join our email list to the left of this post and download your complimentary ebook, Courage and Lessons Learned. OK, I really did try to be a part of the Ultimate Blog Party 2010, but there were so many mommy blogs to visit and too many tweets to follow on Twitter. I'm afraid I got lost in the shuffle. This happened before - in 2003. We shared our experience in 'Technology Run Amok,' a newsletter you can read in the Library on our website, www.HerMentorCenter.com. Long story short, we got caught up in the great technological abyss and the frustration we felt then was much the same as today. So here it is, seven years later. Although I'm still intrigued and want to embrace all that the Internet has to offer, I find that I have no choice but to put it in perspective. And even if the aging experts tell us that multi-tasking stimulates our brain cells, in reality, keeping up with it all can be overwhelming. Does that sound familiar? When does your time spent online with emails, researching ideas, branding yourself, social networking, etc. get in the way of everyday life. Just what is your tipping point? In gratitude for listening to my rant, this may interest you: www.SandwichInk.com – A site dedicated to the Sandwich Generation that focuses on some of the same issues we do. Click on the April 13th post. You'll find a Blog Carnival and informative articles about a variety of topics - survival tools for caregivers, symptoms of dementia, grandparenting tips, fitness and aging. And if you want to explore other blogs and what they have to offer, click on the banner above. Then scroll down the page and you'll have plenty to keep you busy for the rest of the week! Welcome to the 4th annual Ultimate Blog Party. It's a family affair, hosted by twins Janice and Susan, along with their mom, Joan, from 5 MinutesforMom. They have a week of activities planned and all you have to do is show up. Consider this your formal invitation! We've just joined in and see that there's plenty going on - mommy and granny blogs to visit, lots of giveaways and prizes, useful information and chances to connect or network. 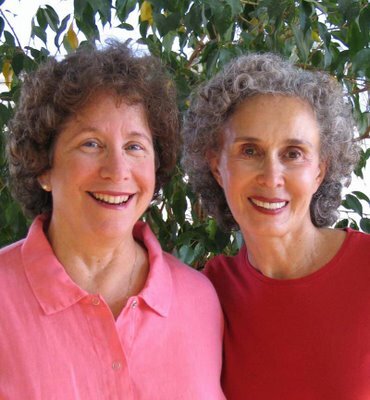 But first, we're Phyllis and Rosemary, longtime friends, co-founders of HerMentorCenter, life coaches and co-authors of a book about family relationships. Welcome to our blog, NourishingRelationships. We blog often here and want you to join us as we build community and help you find your voice. 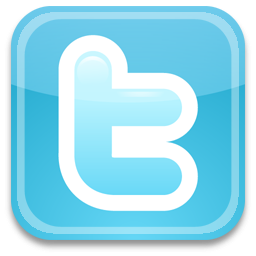 Scroll down to see some of our other posts - we hope you enjoy what we have to offer. You're likely looking for blogs of interest to moms and grandmothers in the Baby Boomer and Sandwich Generation, caring for parents growing older and kids growing up. As you enjoy the party, we'd love to hear about the blogs you visit and women you meet - you can share your comments below. Want to read interesting stories and learn practical tips on how to move forward in your own life? Here's our giveaway to you: simply sign up on our email list to the left of this post and download a copy of our new ebook, Courage and Lessons Learned. Here's another offer if you're having issues with your mother-in-law. The author of The Daughter-in-Law Rules, Sally Shields, has created a quiz app for the iPhone. You can find it in the iPhone app store under entertainment. And you can reach Sally at http://www.thedilrules.com/contact/. When you're ready to get started, just click on the banner at the top of this post. You'll find lots of blogs to visit. Enjoy the party and come back to let us know what you discover! Over spring break, I had a chance to think about the eternal balance for grandmothers as well as mothers - between holding on and letting go. I recognized the dilemma as we took our visiting grandsons to an amusement park that offered trapeze lessons. I watched each of them climb up the tall ladder, perch on the small landing, reach for the bar of the trapeze and then leap out into the air, swinging freely on the trapeze. After a few swings, each one raised his legs up, hooked them over the bar, and hung by his knees, letting go of his hands and swinging back and forth upside down. Although each was, of course, attached to a tether protecting from harm in case of a fall, the freedom of the moment was palpable. After being let down, each boy rolled off the net. Their huge grins and swaggering walk testified to the sense of accomplishment and satisfaction that each boy attained. They had experienced first hand the flood of emotions generated by holding on and letting go - anticipation, anxiety, fear, daring, courage, exhilaration, fulfillment and pride, among others. And I too understood the complexity of holding on and letting go - of children, grandchildren, aging parents. Having practiced it for years with my children, I was finally getting a little more skillful at it with my grandchildren. I recognized that although they loved to cuddle with me when they were younger, as they matured they were becoming a bit more distant, especially in public. And this was all just fine - I didn't take it personally. I realized that even in their letting go, we would always have bonds to hold on to. It's a growing experience - for all of us. To continue growing yourself, download a complimentary copy of our e-book, Courage and Lessons Learned. You'll receive it when you sign up for our newsletter email list on the box to the left of this post. Unless you have taken over the full-time care of a grandchild, you probably have less stress being with your grandkids than you did when you were raising your own children. Without having to take care of all the daily needs of children, home and job at the same time, you are more likely now to enjoy watching your grandson or granddaughter grow. And relish their development into integral members of society, maybe even reflecting your own values. "As my six year old grandson was entering security at the airport he put down his carry-on, took out his wallet and placed two dollars into a money container for Food for the Hungry. I was impressed both with his generosity as well as his reading. Same little guy showed great courage earlier in the week when he came running up to his Mother and said, "do whatever you want to me, I broke a window." Grandsons are wonderful!" "So are granddaughters! I remember how much I used to love being allowed to bake with my grandmother - blueberry pies were her specialty. Now I get to enjoy baking with my granddaughter. Her mom is so busy with work that she doesn't have much time to do anything more than get dinner on the table for her family during the week. I have more free time now so we have fun together in the kitchen after school." How about you? What brings you the most pleasure in your role as grandmother? The unconditional love you share with a grandchild? Carrying on family traditions and values? The chance to be playful again? Seeing your own adult child in a new light? The warmth and closeness of the hugs? Click on the "comment" link below and tell us about your grandchild. And if you want to learn more about heroic role models for your grandchildren and the courage they embody, join our email list and download a copy of our new e-book, Courage and Lessons Learned. With my grandsons visiting last week during spring break, we planned some of the usual fun things we like to do together. Their parents took several days away on their own so we got a chance to enjoy the boys alone - shooting baskets at the park, cooking, bowling, playing piano duets, swimming, going on day trips, and, of course, lots of hugging. During one of those day trips in the car - to a rural farm where we all picked strawberries - I also spent some time talking with them about values that are important to me. Afterwards, I wondered why I felt the need to teach them as well as have fun with them. I realized that I wanted to pass on to them some nuggets of wisdom I had gathered over the years as well as help them develop into good citizens. In a sense, I needed to pass on to them my survival strategies, ethics and social morality. Not so different from the situation in other cultures in which grandmothers are the guardians of traditional values, the possessors of indigenous knowledge and the storytellers of family history. Research indicates that grandmothers - particularly those in developing countries - help grandchildren survive and thrive into adulthood. This is known as the Grandmother effect. In most societies, grandmothers provide at least some financial aid to their grandchildren as well as helping their children with domestic chores and childcare assistance. The U. S. Census Bureau has been tracking the numbers of grandparents caring for their grandkids - today there are upwards of 1.5 million working grandparents who are also supervising the younger generation. In recent years, there has been a Granny boom due to the increased life expectancy and quality of life among seniors. With these increased numbers, the role of grandmothers will likely take on even greater importance in the rearing of children in years to come. With everything else changing so rapidly, the stability that a grandmother can provide can be just the anchor a child needs. Want to pass on to your grandchildren some suggestions for developing courage? Simply join our email list and you can download a copy of our ebook, Courage and Lessons Learned. Health Care reform issues continue to generate polarized opinions and spark confrontations. Even as President Obama reveled in defeating opposition on health care, he admitted that he hasn't succeeded in breaking down partisan gridlock and changing the tone in Washington as promised before his election. He said, "It hasn't changed. Yet." Minimize emotional overload. Feeling flooded or overcome by emotion can lead to the 'fight or flight' response. Agree to stop arguing and postpone a difficult discussion until you are both calm enough to listen. Distraction can be a powerful defense. Take several deep breaths, release any negative feelings and develop thoughts about the situation that are more constructive. Pay attention to the conversation without planning a rebuttal. Try to be empathic and ask questions that can lead to greater understanding. Look at the issues from a perspective that may be quite different from your own. Sometimes you do know what's best, so take a stand and hold your ground. Practice patience as the other side begins to appreciate your point of view. Then you'll be in a better position to negotiate a compromise or a mutually agreeable solution. Instead of immediately fighting back the next time you face what could turn into a hostile interchange, modify your approach. Grow from these experiences as you take the opportunity to turn negative feelings into positive ones, teach or learn a life lesson, form a growing connection. As members of the Sandwich Generation, learn more about growing from experiences by signing up for our e-book,Courage and Lessons Learned , to the left of this post.